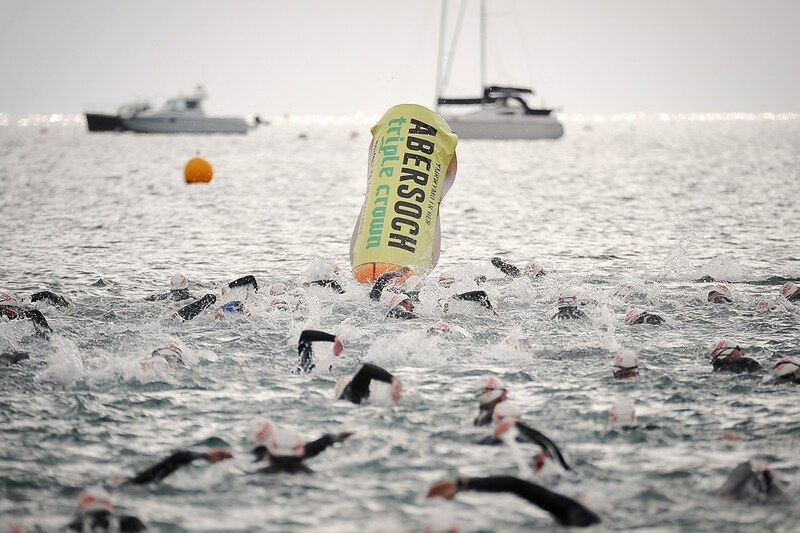 Taking place on Saturday 29th June 2019 the Abersoch Olympic & Sprint Triathlon offer fantastic challenges in a stunning location & one you will relish whether you’re an elite athlete or you’re just starting out in the Triathlon world! The atmosphere both during the races & afterwards is a reason to be part of it alone! With £1,500 of prize money up for grabs in various categories, competitors also have the option of entering as a relay team so each member can focus on their specialist discipline. The hugely popular Abersoch Sprint Triathlon has sold out for the last 4 years, and the Olympic distance launched in 2017 has also sold out both years. Both taking place from Abersoch beach, the 2 race options provide fantastic courses starting with a sea swim, then bike and finishing with a run. The Abersoch Olympic & Sprint Triathlon boasts a location which is quite simply breathtaking! Abersoch is renowned for its awesome landscape & beaches, wide variety of water sports, great shops & restaurants and of course its vibrant bars. You’ll feel very welcomed by large friendly crowds and great support from organisers and fellow competitors. Also taking place the same day is the Abersoch Holiday Homes 1K Beach Sprint. The Abersoch Triple Crown is a race series like no other. Consisting of 3 challenging races it combines your times from the Abersoch 10K, Sprint Triathlon & Half Marathon to provide your overall Triple Crown time. It requires your full commitment & respect in order to earn the highly sort after triple crown series medal.